Home > About Massey > News > Can eating chicken feathers build muscle? 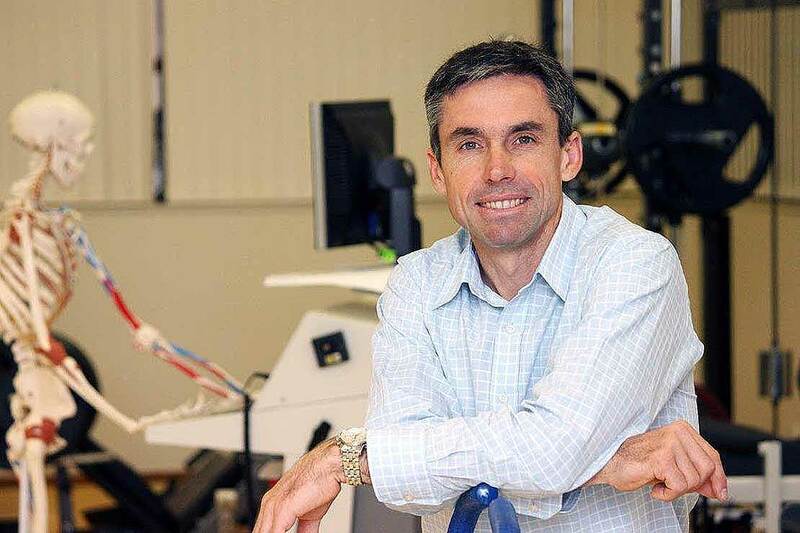 Professor Steve Stannard from the School of Sport, Exercise and Nutrition. The study, carried out by PhD students Drs Emma Crum and Yanita McLeay, with supervision from Professor Steve Stannard and Dr Matthew Barnes, was recently published in the Journal of the International Society of Sports Nutrition. Professor Stannard says while the total body mass and percentage body fat did not change significantly, the study unearthed an interesting finding. “Our data showed that while keratin consumption is not useful as a performance enhancing aid, it was associated with significant increases in lean body mass during the four weeks of exercise training. The dairy-based supplement didn’t have the same effect”. ‘The effect of chronic soluble keratin supplementation in physically active individuals on body composition, blood parameters and cycling performance’ was recently published in the Journal of the International Society of Sports Nutrition.